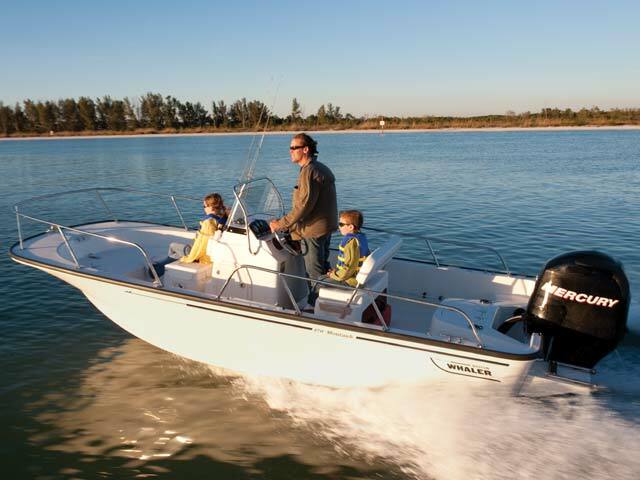 Clean lines, low-maintenance center console construction and a pristine finish give the Boston Whaler 170 Montauk a classic Whaler look. 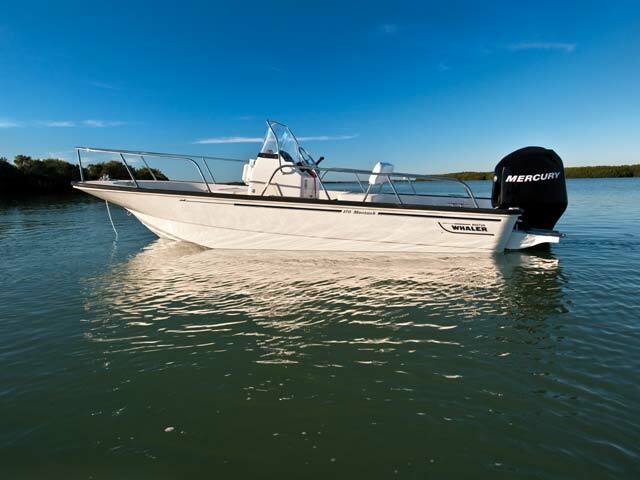 Cutting-edge details like a fuel-efficient FourStroke Mercury outboard engine and an optional recirculating livewell make it poised for the future. 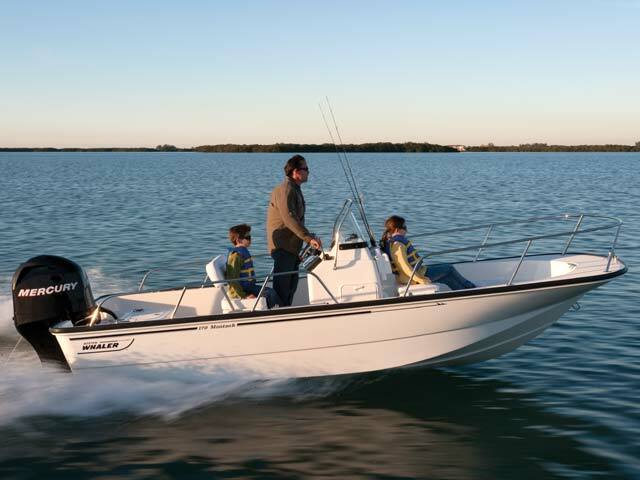 Sport fishing enthusiasts and pleasure cruisers alike will appreciate the 170’s modified-V hull, which ensures quick planing and a smooth, dry ride. 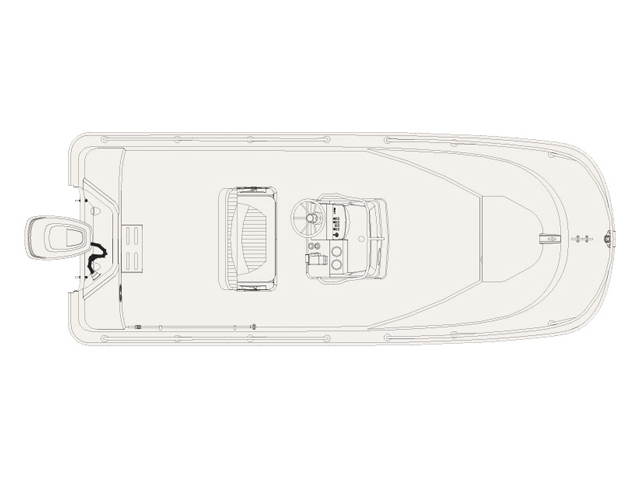 A 9-inch draft makes shallow-water navigation a cinch, and the wide beam provides ample fishing boat space. 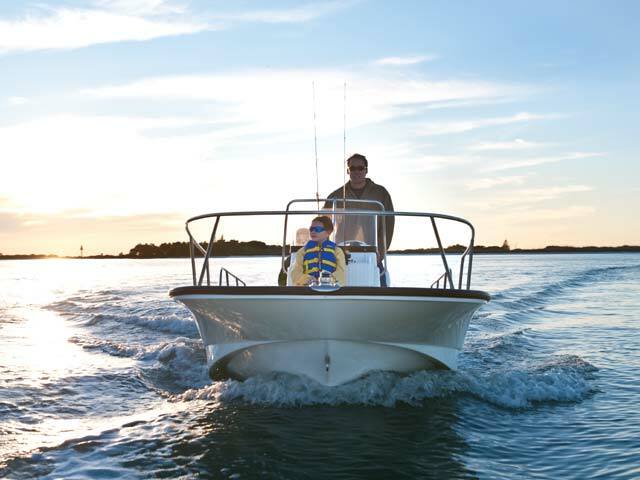 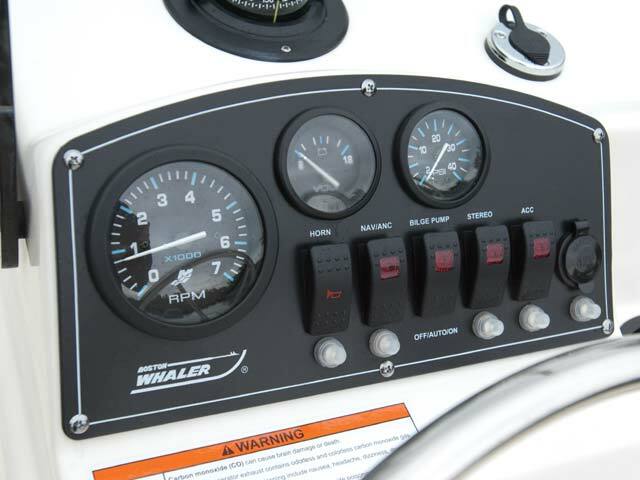 Available Raymarine navigation and fishfinding electronics keep you on top of your game. 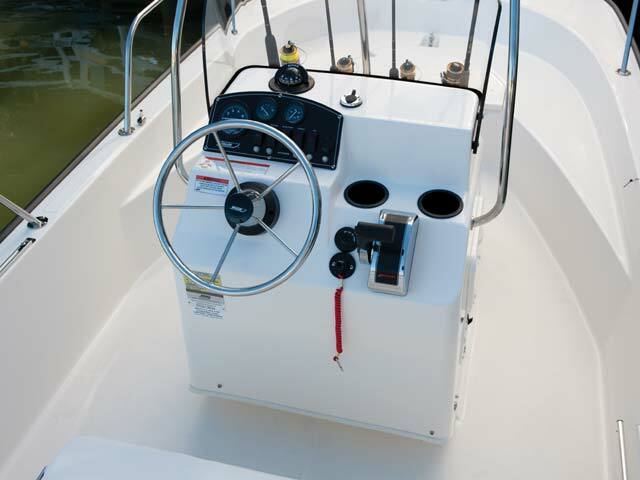 Step aboard and experience the legend in action. 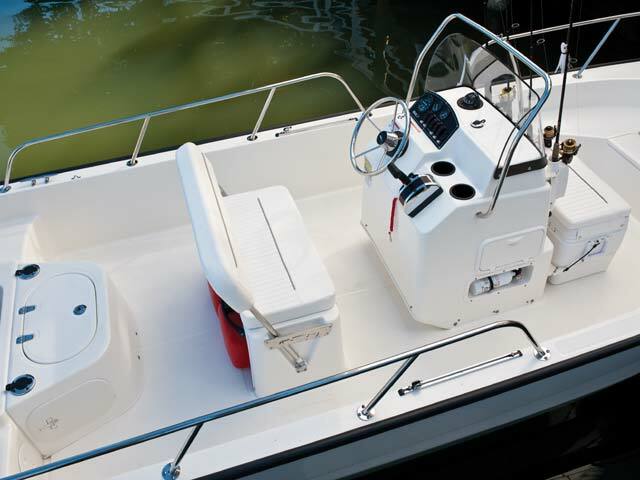 No other boat for sale is quite like it.